The portrait represents a young woman with her hair tied back in a bun. She wears pearl earrings mounted in gold and pearl necklace with pendants of gold and precious stones, indicating her high social standing. 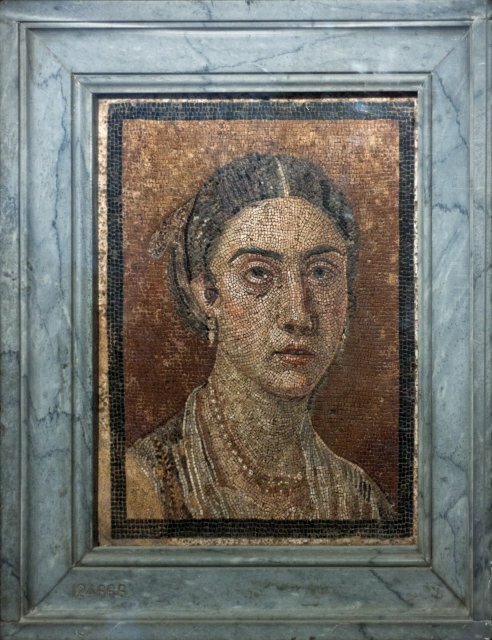 The mosaic was found at the center of a floor made of opus sectile from the last years of the city's existence.